The most widely used thermoplastic material in the medical device industry is PVC. Over a 50 year period, this material has demonstraced its ability to met the demanding requirements of the healthcare industry. PVC was originally developed to replace the rubber and glass that was historically used to make flexible tubing and containers. PVC began to dominate the market for these types of items when the need for single use pre-sterilised medical components increased. PVC is the dominant material used for the storage of IV fluids, dialysis solutions, as well as blood and blood products. It can be sterilized with steam withstanding termperatures as low as -40°C and as high as 121°C. PVC can also be sterilized using an ETO (Ethylene Oxide) and with a Gamma Irradiation Electron Beam. Before PVC can be used in medical devices, it must be thoroughly tested from a toxicological point of view. Consequently all the materials used to make components for devices have to be thoroughly tested and assessed before being accepted for medical use. Experience based on all available knowledge from international environmental and healthcare authorities shows that PVC is safe. Materials used in medical applications must be capable of accepting or conveying a variety of liquids without themselves undergoing any significant changes in composition or properties. 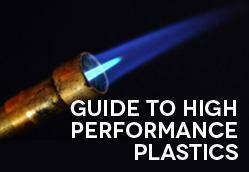 PVC has proven its performance in these areas. Products made from PVC can be formulated with excellent transparency to allow for continual monitoring of fluid flow. It can even be color coded to virtually any color needed. When plastics are used in direct contact with a patient’s tissue or blood, a high degree of compatibility is required between the tissue/blood and the material. The significance of this property increases with the time over which plastic is in contact with the tissue or blood. PVC is characterized by high biocompatibility, which can be increased further by appropriate surface modification. Not only does PVC offer the flexibility necessary for applications such as blood bags and IV containers, but it can also be relied upon for its strength and durability, even under changing temperatures and conditions. PVC can also be easily extruded to make IV tubing, thermoformed to make ‘blister’ packaging or blow molding to make hollow rigid containers. This versatility is a major reason why PVC is the material of choice for medical product and packaging designers. PVC accounts for almost one third of the cost of medical plastic today, hence its low cost has a profound effect on maintaining the lower costs of medical plastics generally. A switch to another plastic could cost the healthcare industry hundreds of millions of dollars per year. Stress cracking is one of the most common symptoms of polymer damage. Stress causes the secondary linkages between polymers resulting in little fractures, like you may have seen in a plastic cup that didn’t survive the dishwasher. PVC’s resilience helps assure that medical products function consistently for extended use and in demanding applications. PVC is just one of dozens of plastic materials Craftech has experience with. Call us if you have a need for small PVC parts. Looking for more information on PVC? Download our free guide.